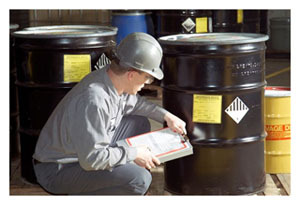 Klor Kleen is An EPA permitted hazardous waste storage facility located in Cincinnati, Ohio. This facility also accepts universal wastes, non-hazardous industrial wastes and Lab Packs. Materials are accepted in both containerized and bulk quantities. The facility recently received its Part B Renewal Permit from both the U.S. EPA and Ohio EPA. This permit renewal allows Klor Kleen to accept and manage hazardous waste generated by our clients through the year 2016. The facility also performs non-hazardous sludge stabilization, drum processing and used oil recycling. The on-site laboratory accurately analyzes waste from our clients and ensures that all wastes received and shipped are managed in accordance with current federal and state regulations. A field services and emergency response division are located at this facility to ensure all of your environmental needs are met efficiently and safely. Fully trained personnel and transportation equipment are maintained out of this location to assist clients with an array of services. 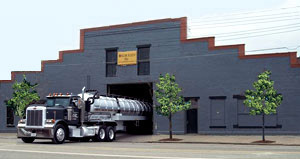 Want more information on the Cincinnati, Ohio location or any of the facilities owned and operated by Midwest Environmental Services? Contact us online for more information, or call 800-388-5160.